My goodness was that a well-needed break after Blogtober! 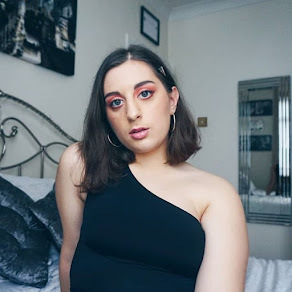 I know that I published a blog post soon after the series ended but, in all honesty, I was feeling a huge whirl of emotions ranging from confusion to tiredness and then somehow feeling as if I had a suddenly had run out of blog post ideas - now that is a scary emotion! I guess there was just a lot of pressure in such a condensed period of time that meant I was unfortunately left just a little worse for wear! 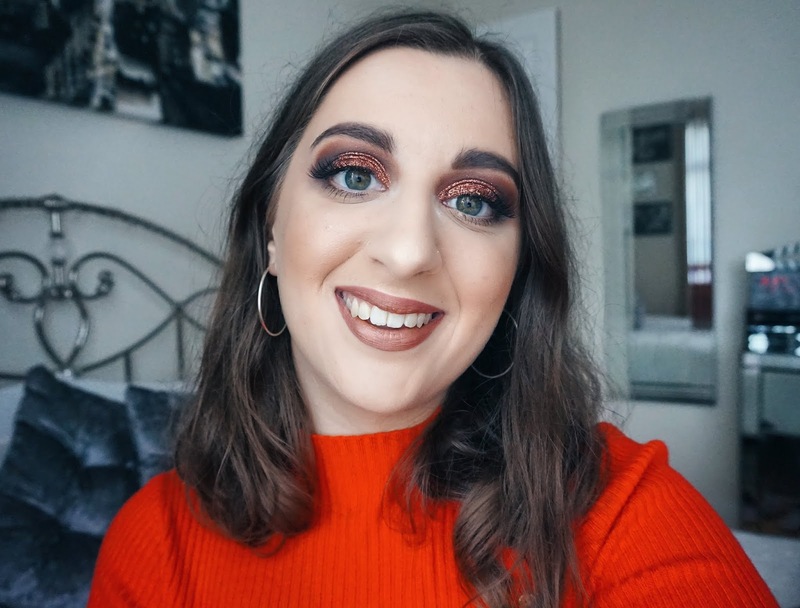 Today's post however is super festive but certainly one that I believe is whole-heartedly necessary now that December is on it's way! 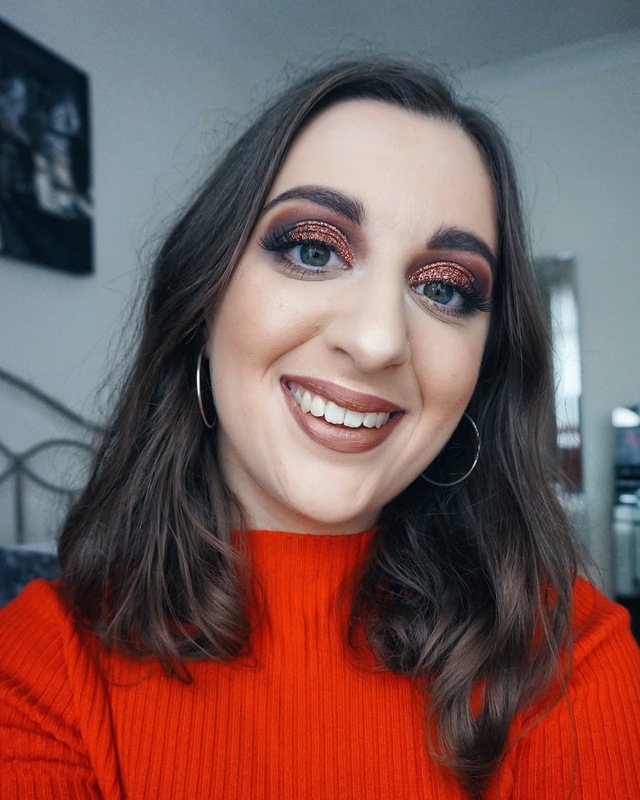 Once again, you can see that one of the gorgeous Helen É Cosmetics glitter eyeshadow pigments has been used on my eyes by the wonderful Elena Pylarinos MUA who treated me to another makeover that I've decided to call "Coffee Talk". 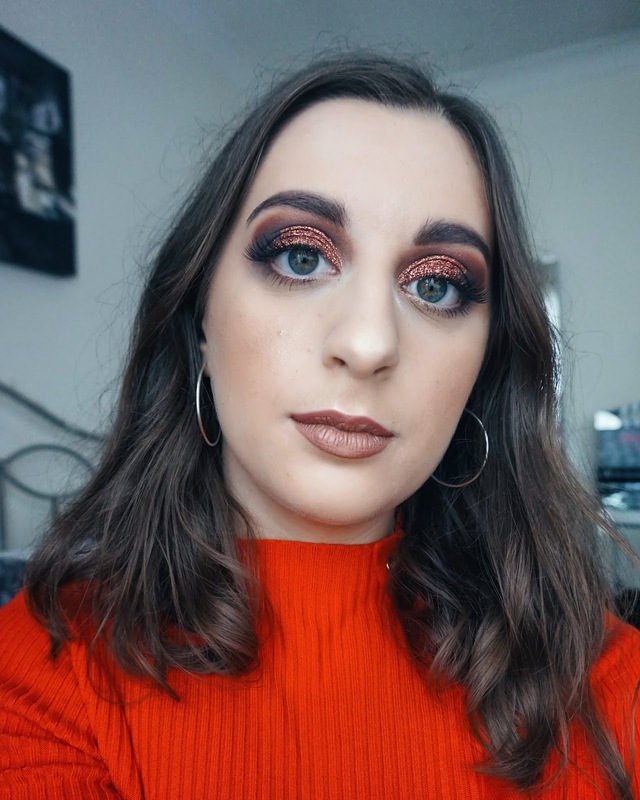 Personally, I think that the brown tones are a must for this time of year as they enable you to indulge in the rich mysterious look that they give your eyes, much like our behaviour with advent calendars where we're meant to open a door each day but end up realising that we're not entirely caught up and "force" ourselves to eat the chocolates all in one day! Pffft such a chore right?! 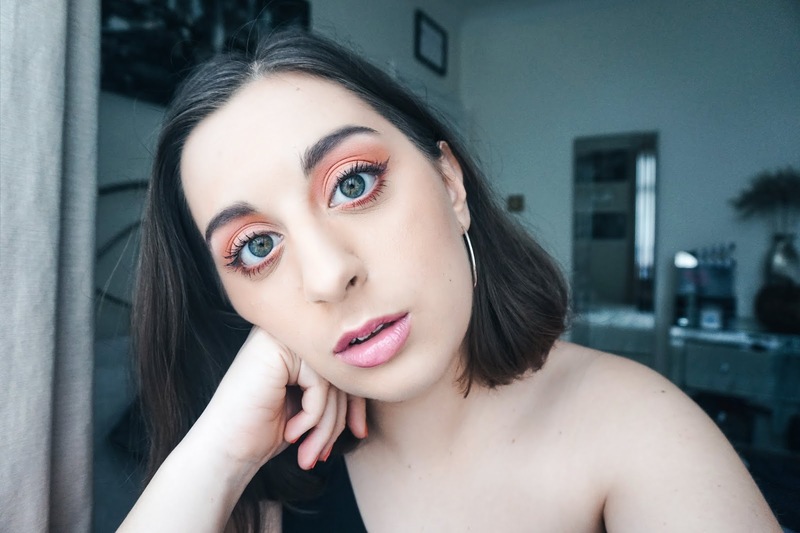 I must admit that the upcoming month will not only consist of Christmas outfits, sparkly makeup and plenty of party ideas but also a whole bunch of looks that feature glitter eyeshadow just like 'Penny Copper', which is one of my all-time favourites and can also be found in my Sunset Eyes post from this Summer. 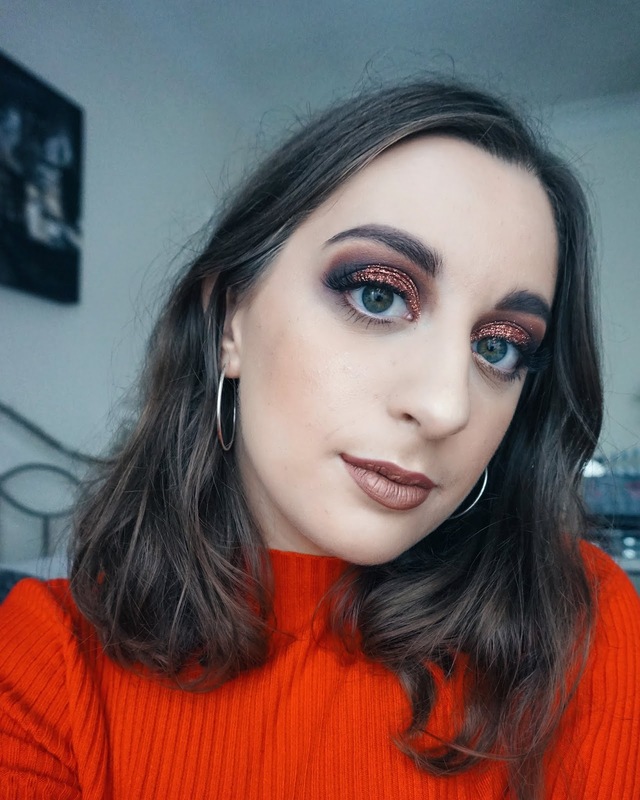 I simply can't get enough of the way this eyeshadow sparkles in the light and the fact that it has the power to instantly make any look a whole lot more festive, and that's exactly what we need as Christmas approaches! Be sure to let me know what you think of this look! Are you in love with the coffee brown tones or prefer a more subtle look? Let's chat in the comment section down below! EYES: Kat Von D Beauty Shade + Light Eye Contour Palette // Helen É Cosmetics Fixing Gel // Helen E Cosmetics Glitter Pigment in Penny Copper // Benefit Cosmetics Longwear Powder Shadow in Milk It! (Discontinued) // Duo Striplash Eyelash Glue Clear White // Ardell False Lashes in the style 'Wispies' // Benefit Cosmetics 'Roller Lash' in Black. CHEEKS: Benefit Cosmetics Hoola Bronzer // BH Cosmetics Classic 10 Colour Blush Palette (Bottom Row, First Blush) // Makeup Revolution Pro Supreme Highlight in Metals.